Although FATCA was first enacted in the US back in 2010, it only came into effect at the start of 2013 and withholding does not begin until the 1st of January 2014. In the United Kingdom the rules will apply from July 2013 onwards, by which time a number of complex compliance measures must be met by firms in order to be fully prepared. Senior managers must engage with the FATCA programme to ensure that their company complies with the new regime and final sign-off responsibility must be given to an identified Executive. The impact will affect companies worldwide, requiring foreign banks to find any American account holders and disclose their balances and dealings to the IRS in the US. If they do not do this, they might be subject to a 30% withholding tax on income from their US assets. The account holders themselves must also make themselves known to the IRS if they are worth more than US$50,000. Non-compliance with the legislation will be investigated thoroughly and offenders risk a fine or even imprisonment. The UK government estimates that the cost of compliance for British businesses for the first five years will be between £1.1 billion and £2 billion. 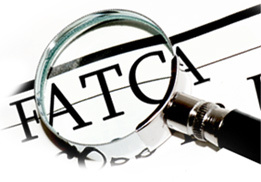 Since the operational and IT effort required for FATCA compliance will bring about extra costs for firms, their budgets must also take FATCA compliance into consideration. Does the UK have its own version of FATCA? A more intergovernmental approach from the United Kingdom has since been developed based on FATCA, with the UK, France, Spain, Italy and Germany all agreeing to support each other with the ultimate aim of combating tax evasion alongside the reduction of burdens and risks on financial institutions. With this information agreement, banks in Europe’s Big 5 will be forced to reveal foreign clients’ financial details, which will subsequently be checked for tax evasion by the tax domicile. This pilot scheme will be based on the FATCA and can be expected to develop further over the coming years, depending on its success. The move has understandably been dubbed the UK FATCA and it is expected to come into force from January 2014, with structures and accounts starting from around £30,000 that are linked to the Channel Islands and the Isle of Man, required to comply and report their financial records for tax purposes. Which Countries Have Agreed to FATCA? The following countries have established intergovernmental agreements (IGAs) with the United States: Denmark, Mexico, Ireland, United Kingdom, Switzerland, Norway, Spain and Germany.